Dubai-based KeyBS, a dynamic solution provider and systems integrator company, introduced three advanced fintech solutions at the ongoing Seamless Middle East 2018 exhibition in Dubai, UAE. The new technologies, namely KeyKIOSK, KeyEVD, KeyMobile and KeyWeb, are aimed at empowering provision of payment services in both public and private sectors. The Seamless Middle East Exhibition 2018 is being held at Dubai International Convention and Exhibition Centre on April 15 and 16. “This year, we introduced the most advanced solutions including a kiosk KeyKIOSK, Point of Sales unit KeyEVD, a mobile solution named ‘KeyMobile’ and a web solution named ‘KeyWeb’. For banks, we are presenting the new technology of digital branch, which consists of four zones namely ‘quick banking zone’, ‘printing zone’, ‘mobile banking zone’ and ‘interactive digital wall’. 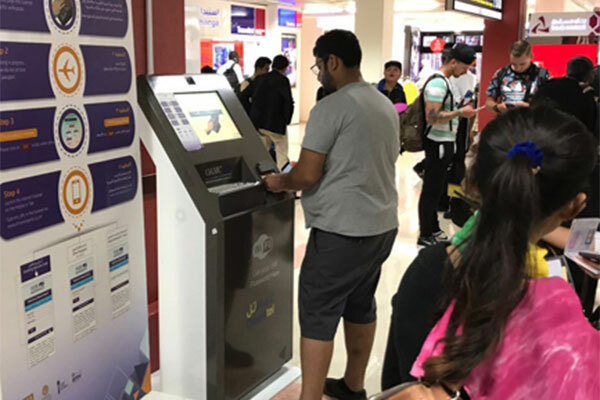 The digital branch is a smart branch, where the client can visit it and do all banks services by himself including the full ‘Know Your Customer’, printing statements, issuing cheque books or pay credit/ debit card bills without standing on a queue and the customer can also ask for instant video calls through the machine itself,” he added. “On the other hand, we are providing a full telecom solution of self-service machine (SSM), KeyEVD (e-voucher distribution technology) and mobile application. Through these three solutions, the telecom operator can automate all the services provided to end-user either by the operator or by the distributer.